Injuries are a part of modern sports, and whether we want to accept it or not, it is likely that an athlete will sustain some type of injury, whether major or minor, throughout the course of his or her career. With this in mind, it is more sensible to acknowledge this reality and work to minimize risk, rather than just hope and pray an athlete never gets injured. As strength and conditioning coaches, we have the privilege of being the only section of the field of athletics (and general health) that are on the preventative side of injury. While a doctor, physical therapist, athletic trainer, chiropractor, etc. 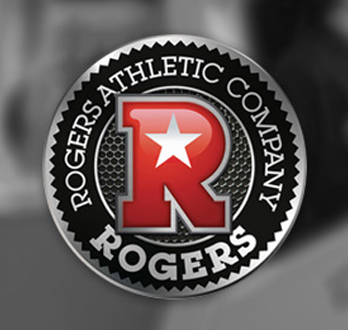 will only see an athlete if there is an issue or concern, strength coaches see athletes whether they are injured or healthy, and one of the main goals of a strength coach should be to make sure an athlete’s body is as equipped as it can be for their sport, and minimize their injury risk. One of the most common, most talked about and researched, and most unfortunate injuries is the tearing of the anterior cruciate ligament of the knee, or ACL. The American Academy of Pediatrics found that the rate of youth ACL tears has risen almost two and a half percent every year over the last two decades. The injury is most common in young women, particularly girls between the ages of 15 and 17. Since the demographic is known and the likelihood of the injury is so high and predictable, it is baffling that more coaches and parents are not taking necessary precautions BEFORE a young athlete suffers such an injury. It needs to be stated that an injury can never be prevented, but with proper strength training and a healthy diet, rest recovery, etc., the risk can certainly be decreased dramatically. The two bodily positions that put the ACL under them most stress are valgus collapse – when the knee moves toward the midline of the body and the hip and foot stay lateral; and internal rotation – when the foot and tibia rotate toward the midline and the femur stays relatively stationary. If an athlete has a natural valgus collapse tendency (as all females do, due to wider hip base than males), then extra attention should be given to the muscles that prevent this motion, i.e. hamstrings, glutes (especially gluteus medius), deep external rotators, etc. Similarly, risk factors can be analyzed to assess how likely it may be for an athlete to sustain a certain injury. For example, when an athlete jumps and lands, a glute and hip weakness can be identified if there is a brief caving in of the knees at first ground contact. The same thing can be picked up on in the weight room – e.g. if an athlete’s knees track toward one another when squatting, maybe some special, isolated care should be given to the muscles that keep the knees out of this dangerous position. Another easy way to help young athletes avoid silly, non-contact injuries is to make sure they understand the biomechanics of the sport they play and how their body in particular moves. In addition, communicating this in manner that a 13 year old (or whatever their age may be) can understand is absolutely crucial. Telling a child to “avoid valgus collapse” is virtually useless; but showing them a video of their knees coming together and explaining that that is bad, or telling them to “not let their knees kiss” or something along those lines, are just a couple of effective ways to helps kids grasp this concept. As stated before, injuries are prevalent, but measures can be taken and education can be given to help these injuries become less common. 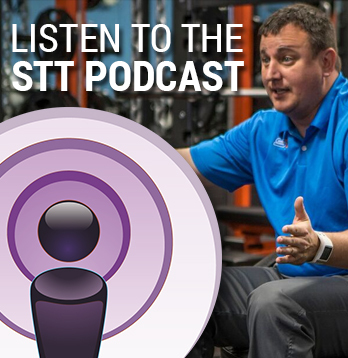 As a field, strength coaches should be communicating with ATs, PTs, doctors, coaches, and everyone involved with a team so that young athletes can be trained and treated properly to keep their careers as long and fruitful as possible. Softball is a face paced game that takes incredible hand-eye coordination, stamina, strength, and perseverance. Training in a team environment can build a culture around a team that will help them throughout the season. Make time to work on your body during the off-season, and continue to make progress during the season. 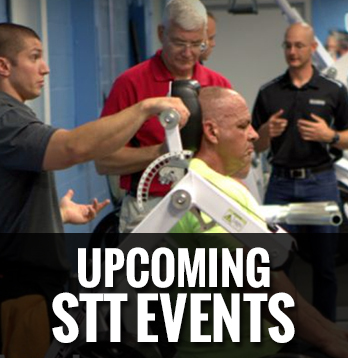 Find out how STT can help you be ready for the season when you CLICK HERE. Take advantage of the opportunity on PersonalTrainingWithSTT.com. 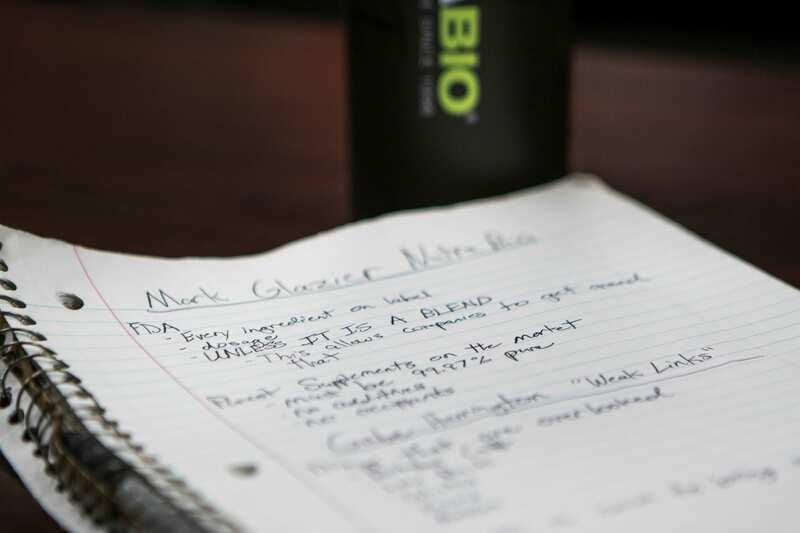 From weight loss to strength gain, to improved confidence and stamina, you need to look into adding one session with a STT’s Performance Coach to your weekly training schedule. If we can train the lower body and avoid or eliminate the stress associated with axial loading (aka having a bar on your shoulders), would you be interested? 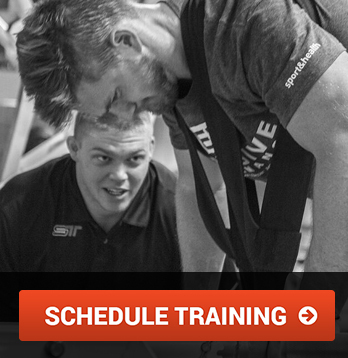 Watch the training videos from the Pit Shark Belt Squat when you CLICK HERE.